Large Hologram Projector creates images up to 20 ft tall. Trade Show Holograms has announced that as of May 1016 they are now offering their new giant sized hologram projection systems to the hologram market. The new giant scale 3D projection system allows for holograms up to 20 ft high and 32 ft wide. 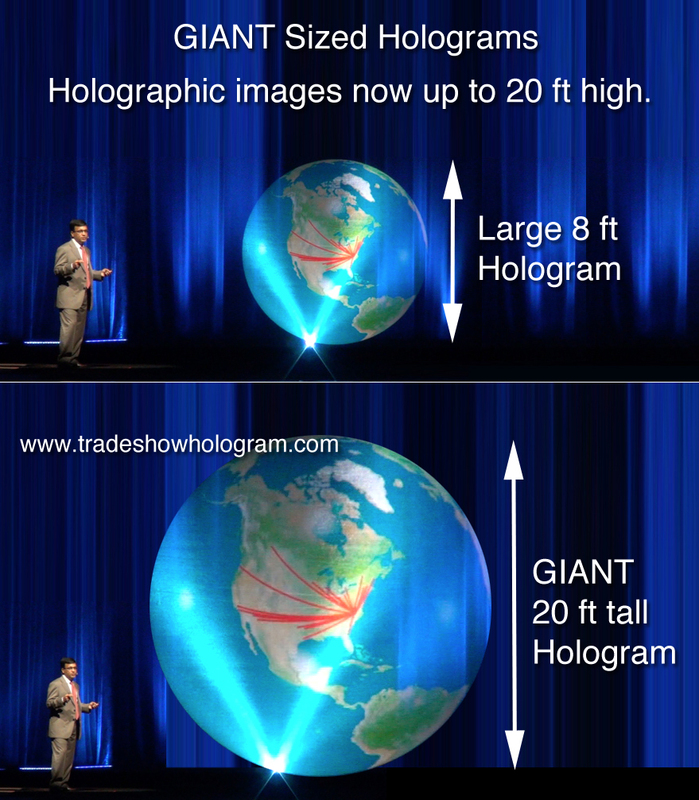 In past years large hologram projections were limited to 8 ft tall but this new system allows the company to break those barriers with the new much larger hologram sizing. Giant Large Sized Hologram projector creates Jumbo Sized Holographic Projection. Attendees at the ASE 2013 were treated to a very special 3D holographic projection as part of Dr. Partho Sengupta’s lecture. 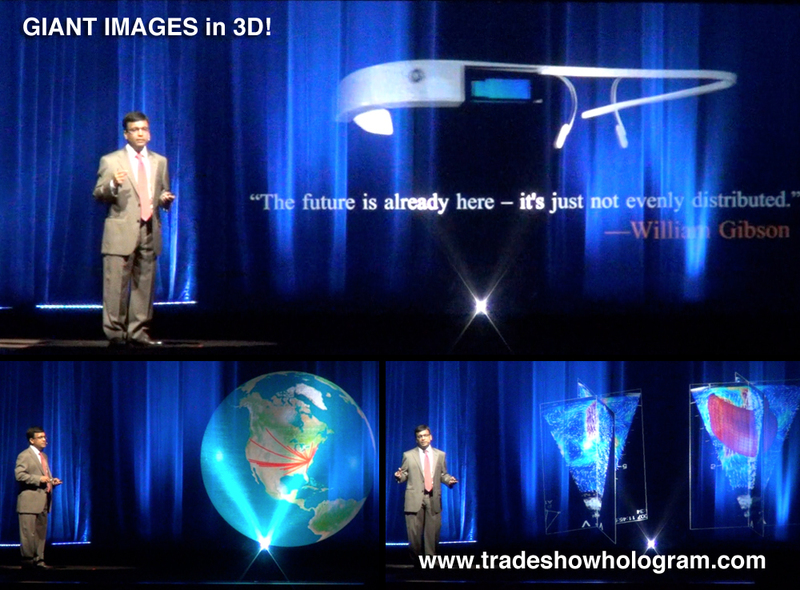 Dr. Sengupta worked with Trade Show Holograms to develop a unique 3D holographic full motion powerpoint presentation. Parthos mentor and collaborator even beamed on stage as life sized holographic avatar to talk to the crowd. The lectures topic was the use of modern technology in modern medicine and this new form of media presentation earned a standing ovation from the lecture audience. You can vide the video here. Giant holographic power point presentation amazes audience.